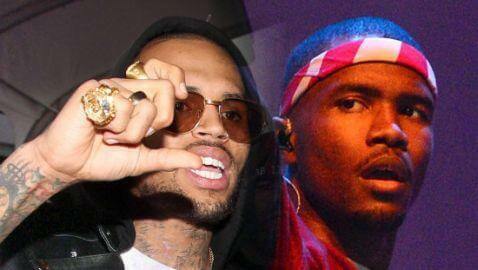 According to TMZ, Chris Brown and Frank Ocean brawled on Sunday night and those close to Brown claim that it was initiated by Ocean. 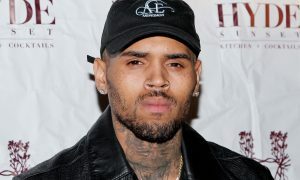 Brown was at Westlake Studio in Los Angeles to listen to an artist he represents. Sources close to the situation claim that has Brown tried to leave, Ocean and his entourage blocked Brown from leaving. Supposedly, Brown tried to shake Ocean’s hand and one of the people with Ocean went after Brown. A friend with Brown jumped in between and hit Ocean’s friend. Sources then said that Ocean went after Brown. Brown pushed him back and everyone began to brawl. 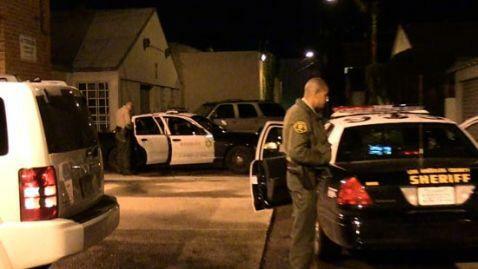 Police responded after 911 calls about the fight. TMZ reported that Brown was not present when the officers responded, but they were able to speak to Ocean. Reportedly, no one is interested in pressing charges and no one was arrested. Police said that the investigation is ongoing and that they want to talk to Brown about the fight. Police are calling Ocean the ‘victim’ since he stayed at the scene and talked to officers. Ocean claims the fight began over a parking space and that Brown punched him. Six people took part in the brawl.